I first met Carly and Jacob a little over a year ago. We met for coffee and to go over their future wedding day. We all clicked right away when we met. During coffee we discussed their engagement story, how they met and all the details about their wedding day. I knew from the moment of meeting this wedding was going to be beautiful! 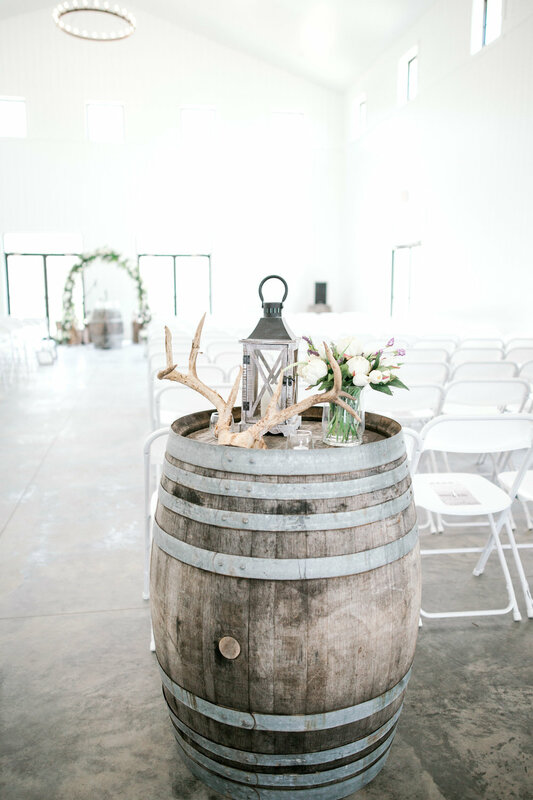 Fast forward a little bit- we captured their engagement at Cedar Lake Cellars. Carly and Jacob had a cute little picnic theme while carly wore her cowboy boots and a white dress. The other outfit change was probably my favorite because Carly is a Blackhawks fan and Jacob is a Blues hockey fan. They wore their jerseys representing their favorite hockey team. Needless to say I adored the two! 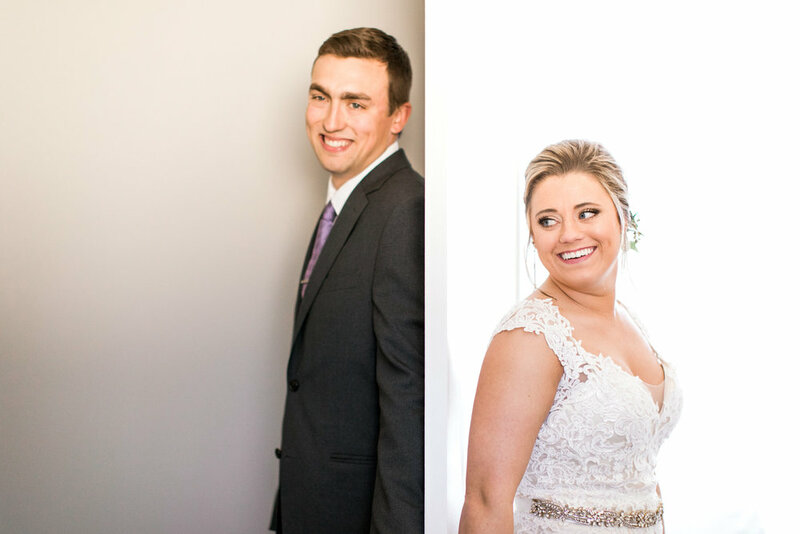 April 28, 2018 these two said " I do"and their wedding could not have been more magical! The day started off at The Color Room there Carly and her bridesmaids got their hair and make up done. 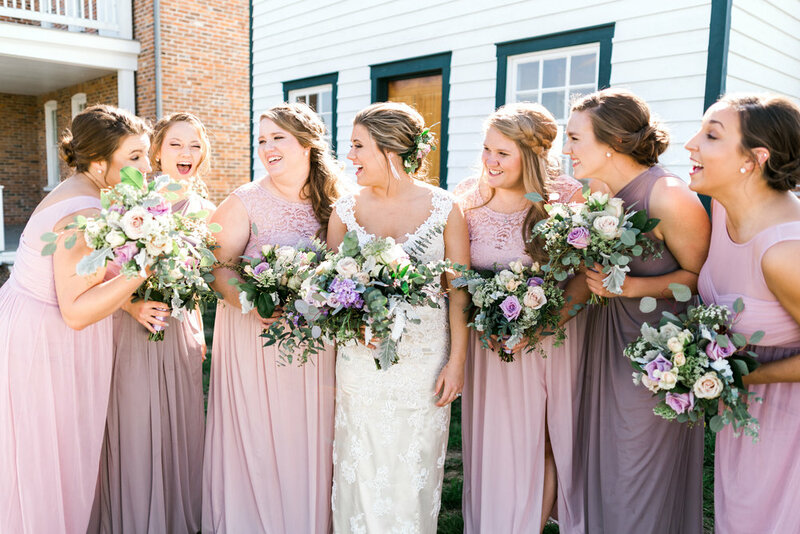 Carly had a super cute updo style with fresh flowers to match her wedding. The girls laughed and shared memories as they were getting ready. After the girls were ready the girls all went back to the hotel to finish getting ready. At the hotel I captured the detail shots from the shoes to the jewelry. Than I hung up the beautiful dress alongside with her bridesmaids dress. 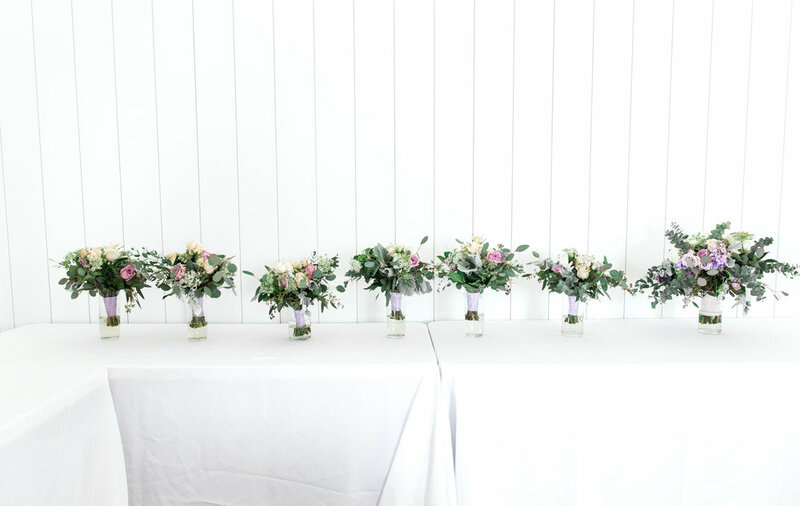 The dresses were a pastel light pink and Carly's dress was a beautiful ivory lace wedding dress. 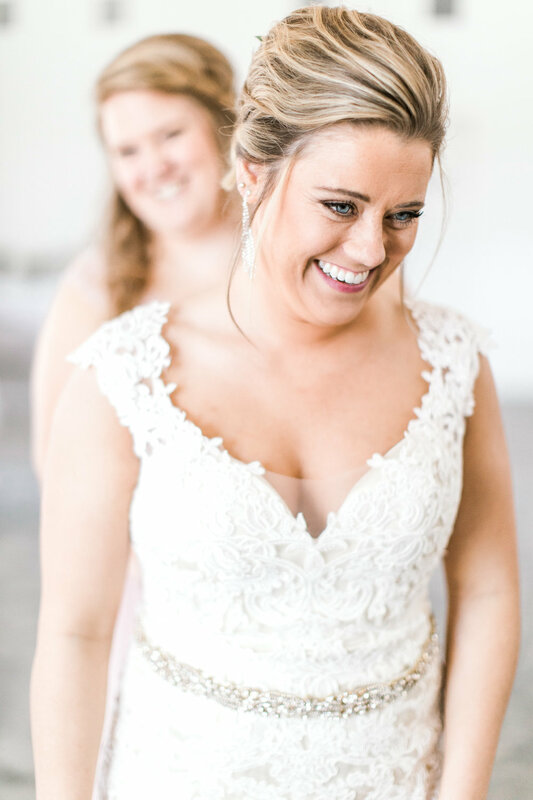 After Carly slipped into her dress with the help of her maid of honor and sister. Once Carly was ready the girls and the bride all hopped onto the party bus to head over to the venue at Redemption Ranch. Redemption Ranch is this beautiful white barn located in Moscow Mills, Missouri. The ranch is brand new in fact Carly and Jacob's wedding was the first wedding held at the Ranch since being finished. 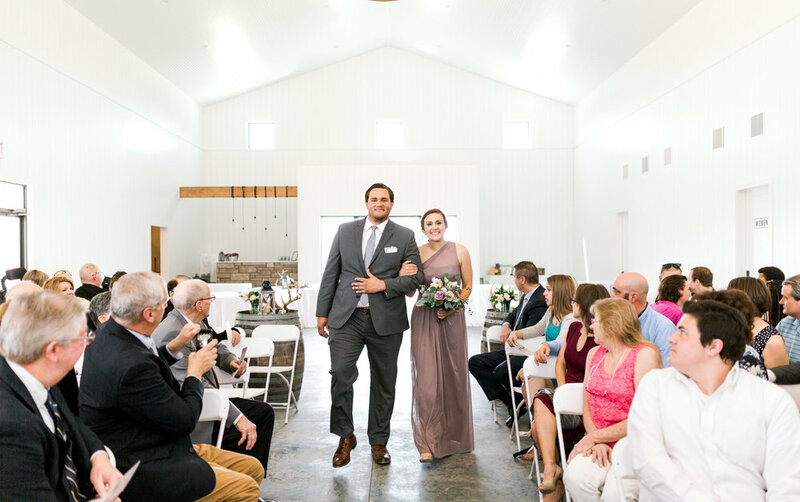 The ranch has a ton of natural light that flows into the tall white shiplap barn. I think every single one of us were in "awe" of the venue. Once we all arrived at Redemption Ranch we made sure to hide Jacob first. Jacob was there already getting ready with the groomsmen. The groomsmen were all sipping on Jameson and tying their ties patiently waiting for the ceremony. Once we hid Jacob it was time to bring in the bride. There we did a first look with Carly's dad and than we had Jacob and Carly exchange a letter from a door separating the two to not see on another. The ceremony began around 1:00 pm. 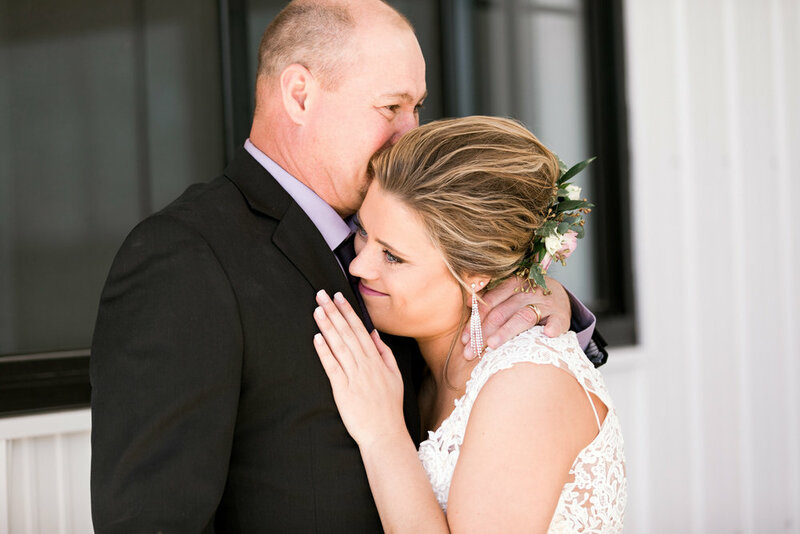 Carly walked down the aisle with her dad and let me tell you there was not a dry eye in the ceremony! The ceremony was beautiful! Her maid of honors dad was the officiant and her family members read verses from the Bible. Before the ceremony ended Carly and Jacob did a sand ceremony to celebrate their marriage as one. Soon after was of course the first kiss as Mr and Mrs! 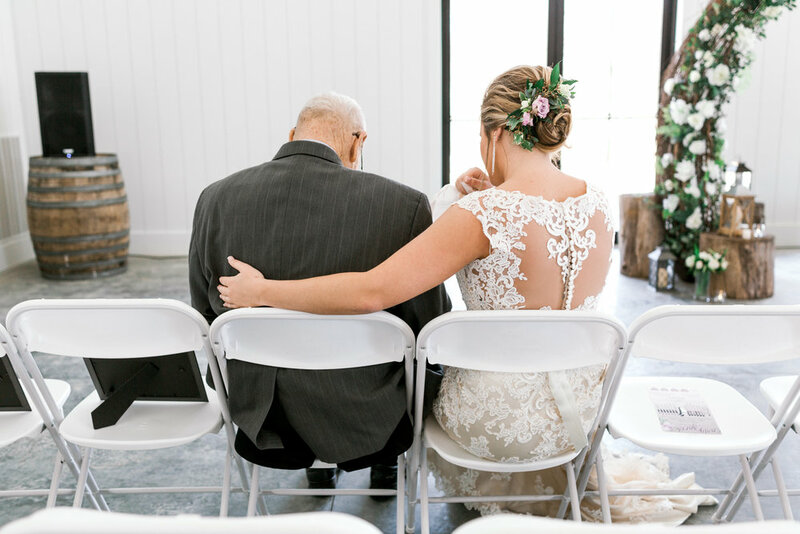 The ceremony left everyone in tears. Such a beautiful ceremony! After the ceremony the wedding party, myself and the videographer all jumped onto the party bus to head over to the park for wedding party pictures. 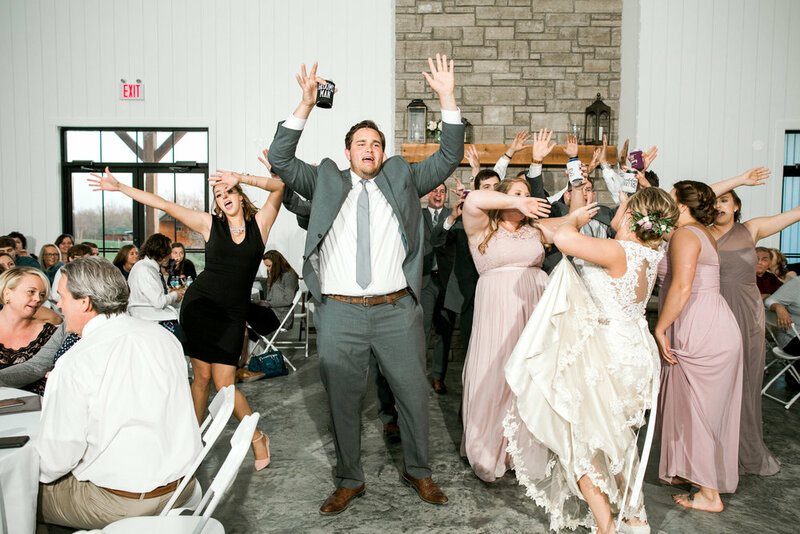 Let me first say this wedding party knew how to have fun! From dancing on the bus to rapping to oldies we were all cracking up and having a blast! This Saturday wedding was one of the first weddings you could really finally feel that spring was finally here! The sun was shinning and the temperatures were in the upper 70's I mean I do not think the weather could have been more perfect! We captured pictures at the park for about an hour. Starting with the bridesmaids and than wedding party. This wedding party was making me laugh so much! During photos the groomsmen (who played football in high school) all posed as if they were about to play football. I of course snapped that picture- it was too good of a candid moment! The sun was bright and Carly and Jacob were having so much fun. From twirling to kissing in the fields. After we captured the pictures at the park we all hopped back onto the party bus to head back to the ranch for the reception.